Product prices and availability are accurate as of 2019-04-20 01:30:16 EDT and are subject to change. Any price and availability information displayed on http://www.amazon.com/ at the time of purchase will apply to the purchase of this product. 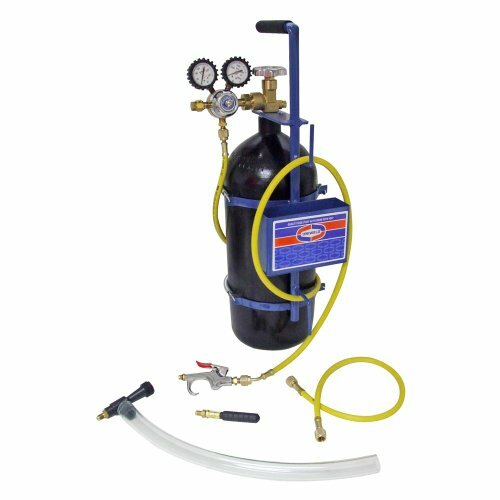 Uniweld 40002 Nitrogen Sludge Sucker & Blaster Kit (Max. Delivery Pressure 175 PSI) with Metal Carrying Stand for 40 Cubic Feet Nitrogen Tank Nitrogen is a dry inert gas with multiple uses in the HVAC/R industry. The Nitrogen Sludge Sucker & Blaster Kit was specifically designed for the following applications: Purging copper lines with low pressure nitrogen displaces the oxygen, preventing oxidation and the resulting scale. Scale left inside the tubing can cause blockage within the TXV Valve and other A/C system components. Pressure testing a system for leaks prior to pulling a vacuum and charging the system with refrigerant will save time and money. 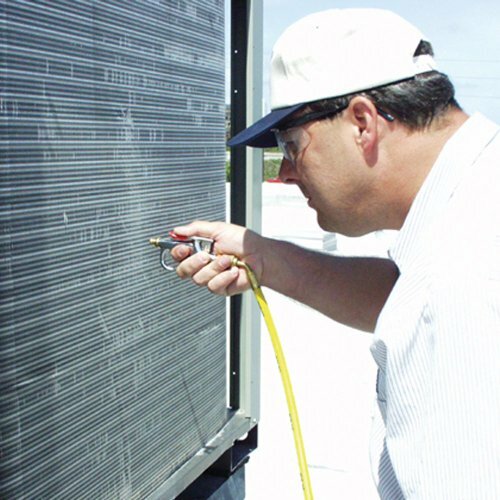 Cleaning a condensate drain line is easy with the use of a Sludge Sucker or Sludge Blaster The Sludge Sucker is a tool that was developed to clean out a condensate drain line without having to access the drain pan located in the A/C System's Air Handler. The Sludge Sucker's clear vinyl hose is attached to the 3/4-Inch PVC condensate drain line on the outside of the building. With the use of Nitrogen, CO2 or water suction is created that pulls all the sludge and algae from the drain pan and drain line; then blows it onto the ground outside. The Sludge Blaster is inserted into the drain line (Pipe Capacity: 3/4-Inch to 1-Inch) and expands inside the pipe with the use of nitrogen pressure blasts the sludge and algae free. 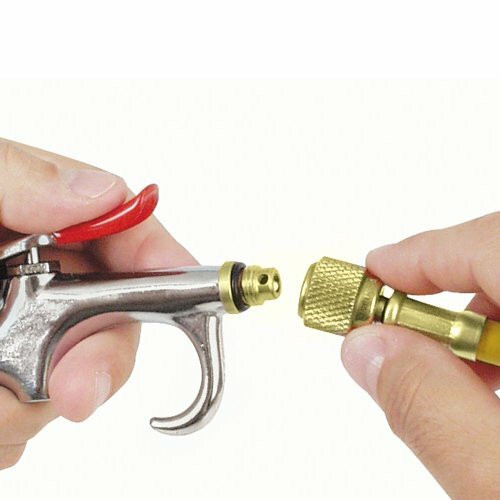 Capabilities can be expanded with rubber plug adaptors, needle tip, air chuck and accessories purchased separately. Kit Includes: Part No. R1563 Nitrogen Regulator - Maximum Delivery Pressure up to 175 PSI, 1/4-Inch Male Flare Outlet Connection, CGA580 Inlet Tank Connection and protective rubber gauge boots, Part No. 40000 Sludge Sucker, Part No. 40061 Sludge Blaster, Part No. H5SMY 5-Feet Service Hose, Part No. H2SSM 2-Feet Service Hose, Part No. BG1 Blowgun, Part No. 516 Metal Carrying Stand for 40 Cubic Feet Nitrogen Tank (Tank Not Included - Sold Separately).